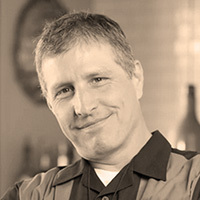 Joe has been the Chief Information Officer for Sonny’s BBQ, one of the largest and most popular barbecue restaurant companies in the country since 2014. Joe joined Sonny’s BBQ with a focus on creating the franchise restaurant technology blueprint of the future. His specialties include a strategic focus on emerging technology’s place in hospitality and understanding the overall tactical hospitality technology necessities. Joe also led marketing, finance and accounting and purchasing for Sonny’s. Before Sonny’s BBQ, Joe was the CIO for Hard Rock International, where he led the R&D and global rollout of many innovative technologies that affect the Hard Rock Cafe and Hotel guests and staff members. After beginning his career as a programmer and manager for financial software companies, Joe was a senior technology leader for the second largest arm of the Marriott Corporation. He then joined Ripley’s Entertainment as VP of Technology during the construction of their Great Wolf Lodge in Niagara Falls, Canada. During his tenure, Joe helped pioneer the use of RFID technology into POS and PMS systems for the benefit of guest security and convenience. Joe holds a BS in telecommunications and computer science from the University of Florida and a Masters of Business Administration from the Crummer Business School at Rollins College.